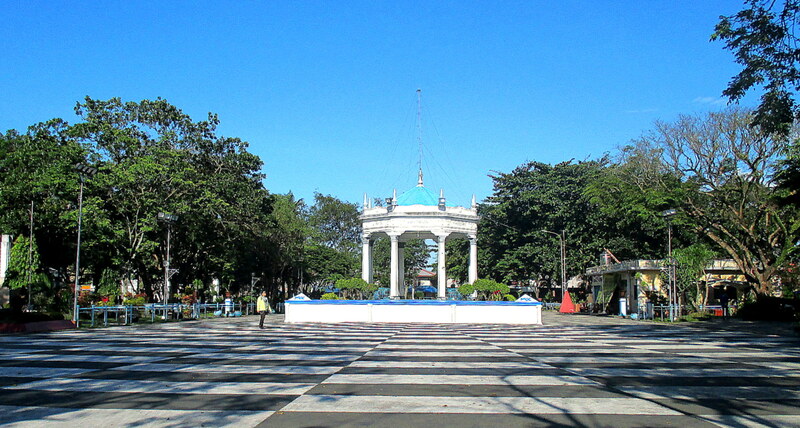 Bacolod City, the capital of Negros Occidental. It’s one of those I-can’t-believe-I-have-not-been-to places for me. 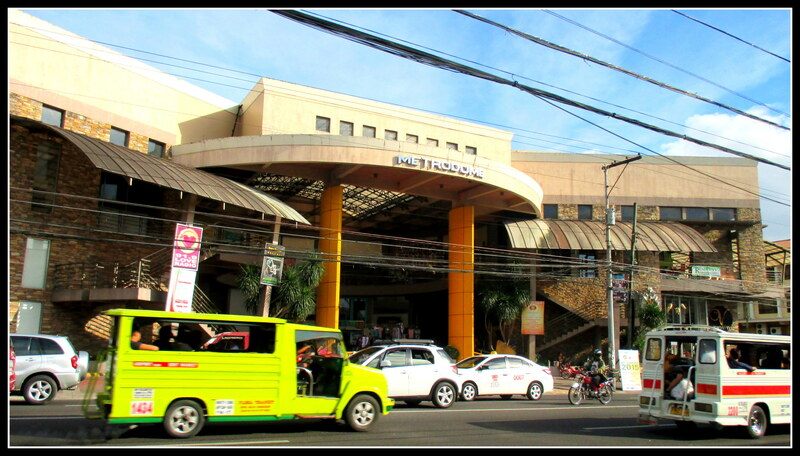 With, more or less, an hour flight from Manila, very affordable and various accommodation options, friendly locals (it’s actually nicknamed as the City of Smiles) a haven for foodies, a manageable and convenient public transportation, Bacolod is an attractive travel destination, especially for those who want to enjoy some solo adventure or some time away from Manila. So what finally pushed me to book a flight? It was September of last year, my travel to China and Macau was fast approaching (December). Am not sure if you are like me when it comes to traveling. If you are, you can probably relate to this. I get nostalgic too early towards the idea (just the idea) of ending a travel that has not even started yet. Just the thought that my next travel is arriving soon, thus, ending soon is sad. I know it sounds selfish. Let me give you another example, which could probably make you understand me more. It’s like you are excited for Friday but, somehow, you know Monday is just two days away from it. Ha! What’s the resolution to this (weird, I know) struggle? Book another flight or travel that comes right after the next. This way I know the traveling is not ending and I won’t be too sad leaving China/Macau. 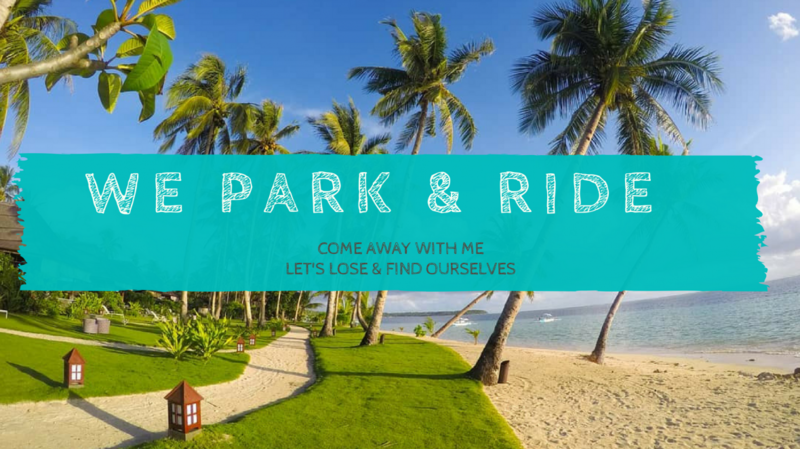 I booked a flight to Bacolod so I can explore as much of Negros Occidental as I can. My trip is for three days and three nights. It’s not enough to taste, hear, see, and experience everything there is but, as I always say, it’s just enough to enjoy it and have more reasons to come back. Coming from a night shift and no proper sleep prior to it, I thought Day One should be light and easy. My flight landed just before 6AM. I chose an early morning flight so I could see the city come to life. The only problem you will encounter with an early morning arrival is the check-in time. Most hotels’ check-in time is at noon. I stayed at 11th Bed and Breakfast (I’ll tell you more about it on a different post) and they allow early check-ins as long as your room is vacant. In my case, it was not. Good thing they allowed me to leave my bags so I can explore the city while waiting. No time to waste! 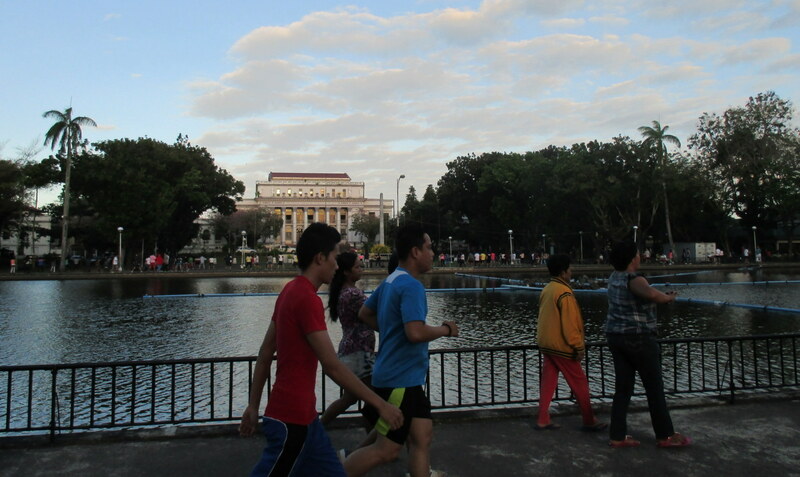 The best way to see how Bacolod comes to life every day is to go to Capitol Park and Lagoon. Here you will see various physical activities happening in unison like jogging, dancing, exercising, arnis, martial arts, etc. The lagoon is man-made and contains tilapia that the public can feed. It’s also notable how the locals has kept it free from trash. 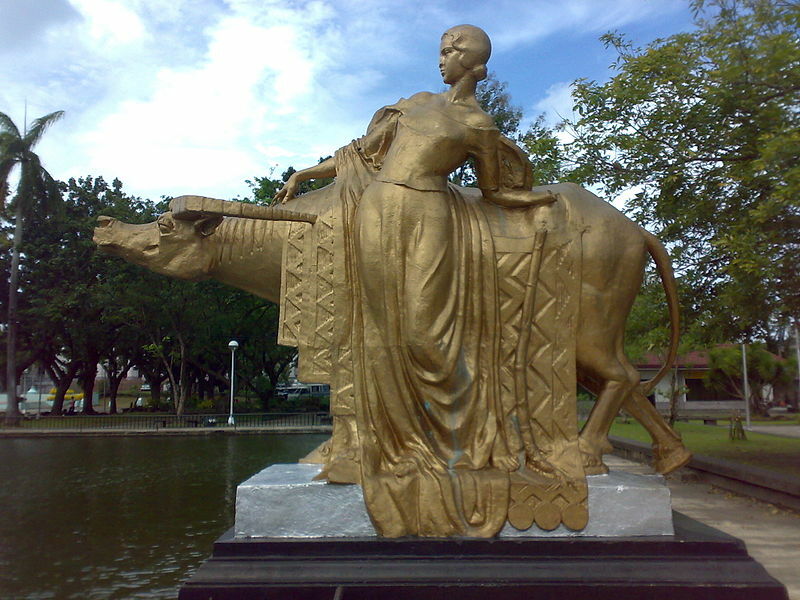 the woman beside a water buffalo on the southern part. 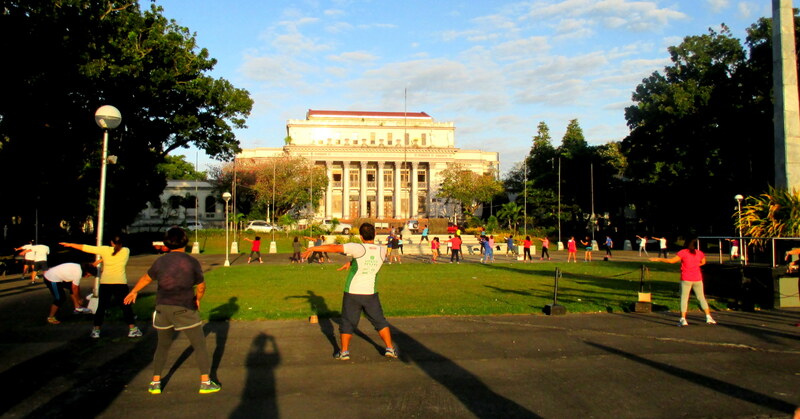 The Provincial Capitol of Negros Occidental is the office of the Governor of Bacolod. In office now is Hon. Alfredo G. Marañon, Jr. The lagoon gives it more glow when you take a photo of it. The center of the famous MassKara Festival, a week-long celebration held at the city’s Charter anniversary in October. In regular days, it becomes a good place for picnic, family gathering, especially after hearing a mass from its nearby church, San Sebastian Cathedral. 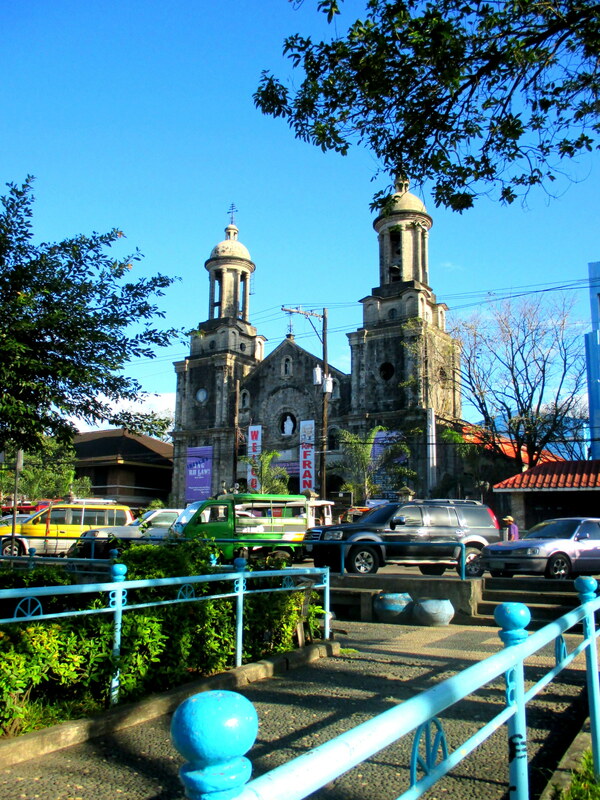 Declared a Cathedral in June 1933, this church is one of the must-visit spots in Bacolod. Beside it is the Palacio Episcopal, which seats the province’s diocese. Its baroque architectural style says so much about its history. It was named after a Christian martyr and saint. One of the best ways to know a place is to visit its public market. Not only can you find cheap items, it will also give you the local experience at its very core. 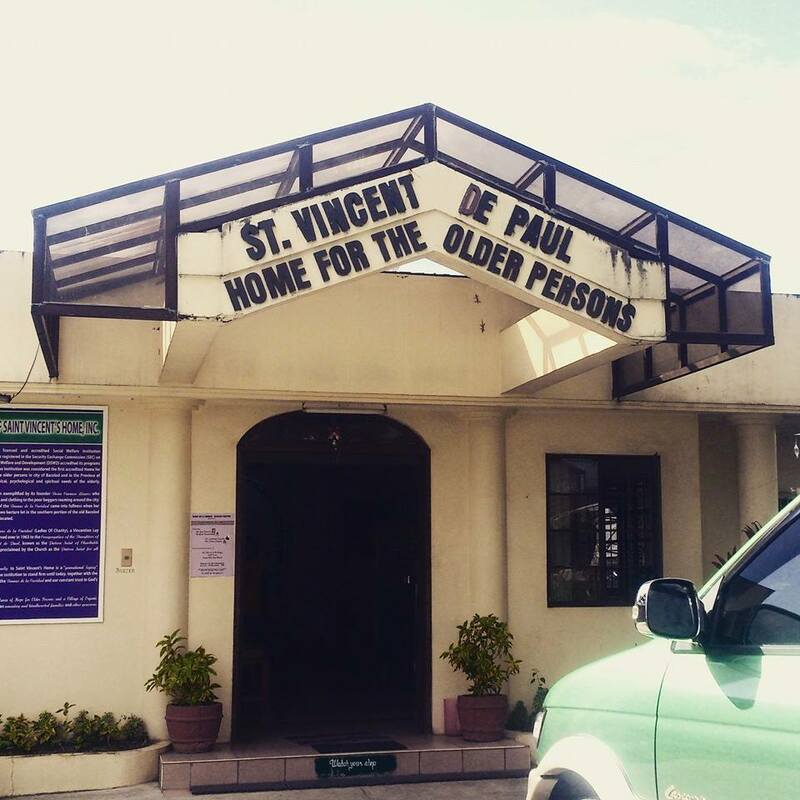 If you are staying along Lacson St. or anywhere nearby, this spot is very easy to find. 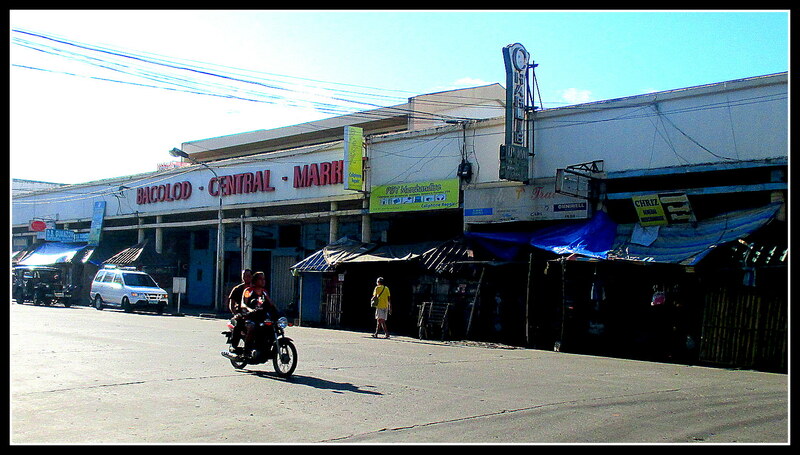 You can either walk (or jog) your way to it or get on a jeepney that says Central Market. It’s near San Sebastian Cathedral and the Public Plaza. 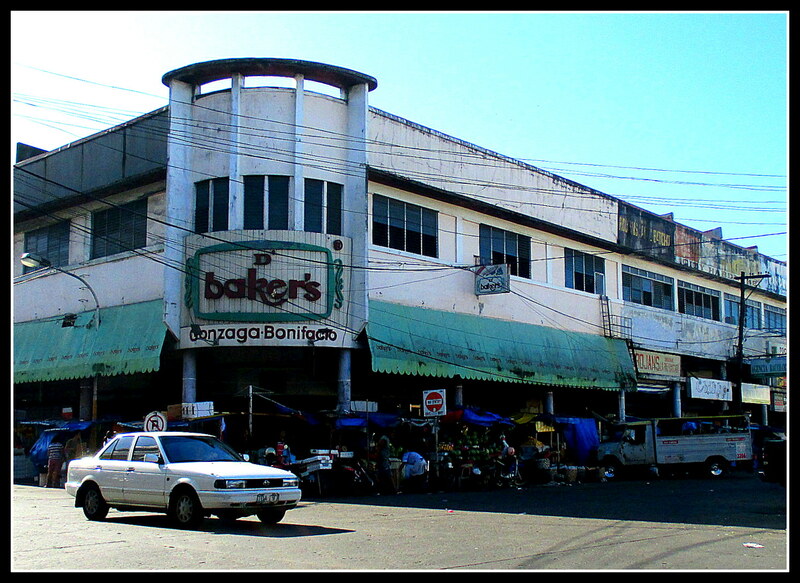 Other markets are Burgos Public Market, and Libertad Public Market. Near the Central Market, I found this good ol’ bakery to score some packs to bring home. Aside from D’ Baker’s, you can also find sweet treats from Merczi, BongBong’s, Cafe Bob’s, Bailon’s, or Pendy’s. At 11A, I decided to go back to the hotel to find out if I can already check in and hopefully get a shower and a power nap. I did. The two-hour nap felt great and after the shower, I was all ready to explore again. 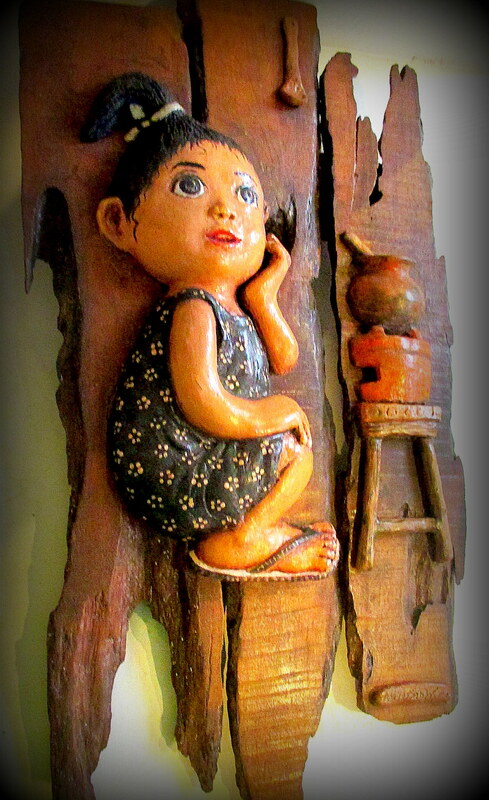 On my way to St. Vincent’s Home, the jeepney passed by Jojo Vito Gallery so I decided to visit on my way back. 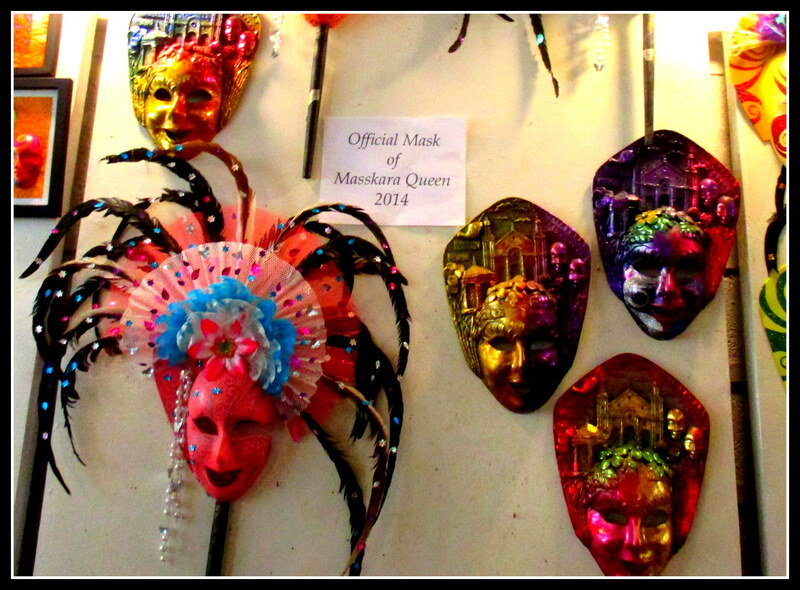 Jojo Vito Gallery has been the official mask maker of MassKara festival for many years. 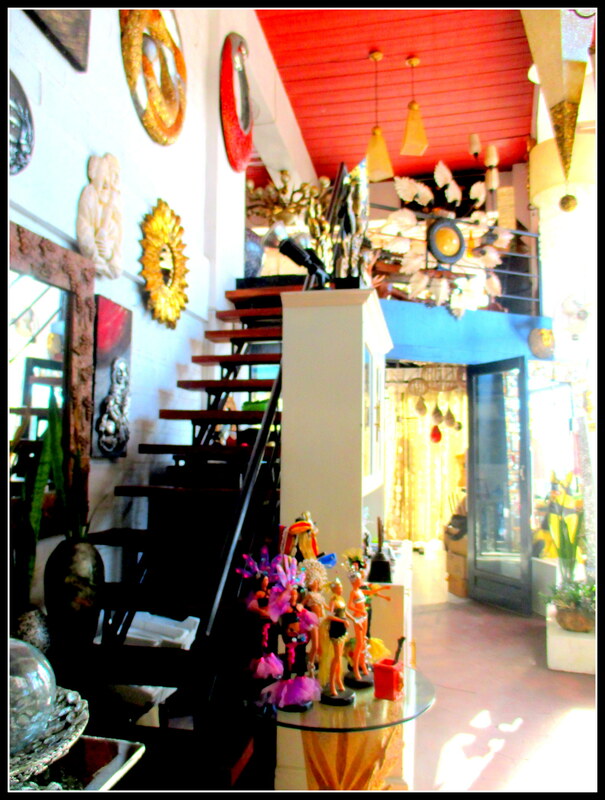 You may buy souvenirs from the Gallery or just feast your eyes with the artwork. Jojo Vito Gallery is located in Metrodome Center. I got off South Capitol Rd. 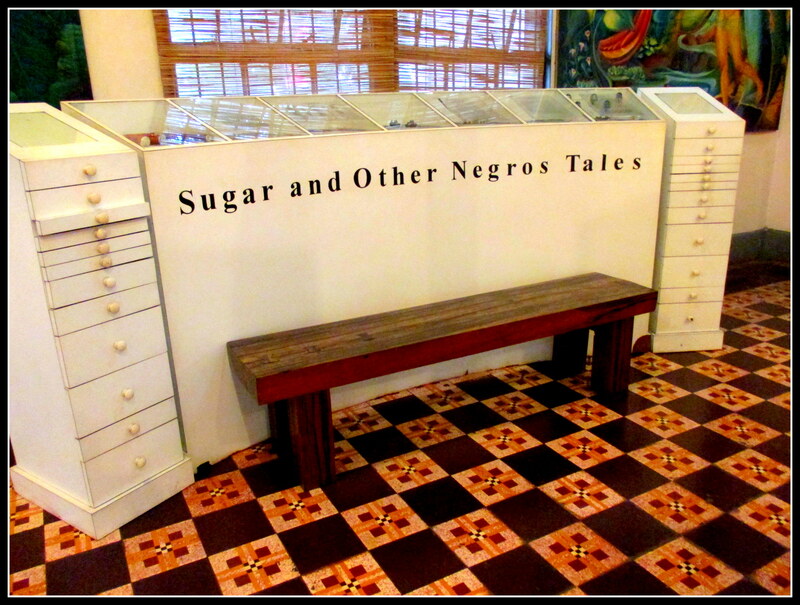 and walked my way to the Negros Museum. Got myself a pack of Negros Occidental’s Candoni Robusta Coffee and some souvenirs. The cafe serves natural food made from scratch. Every week, they offer a special menu. This place made it to the Top 1 of GMA TV Show Ang Pinaka’s Top Yummiest Restaurants in Bacolod. 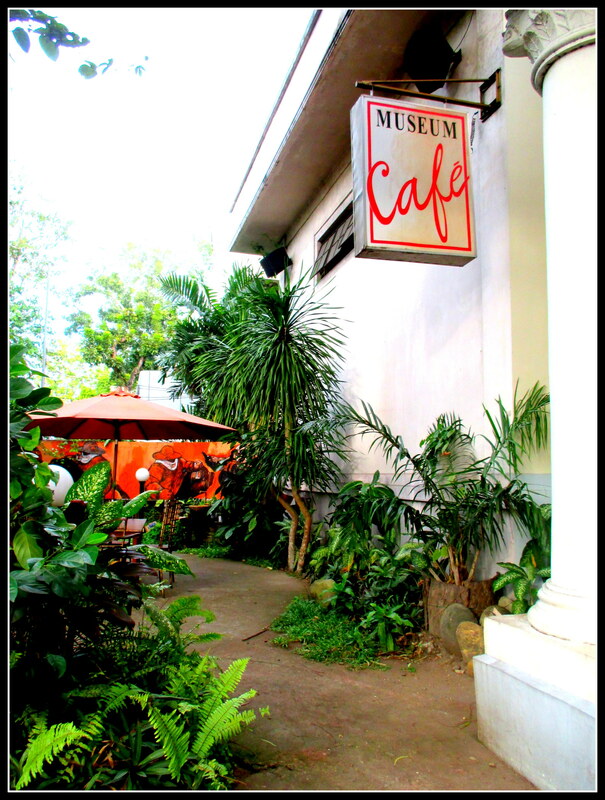 After eating at the cafe, do not forget to visit the museum and souvenir shop. 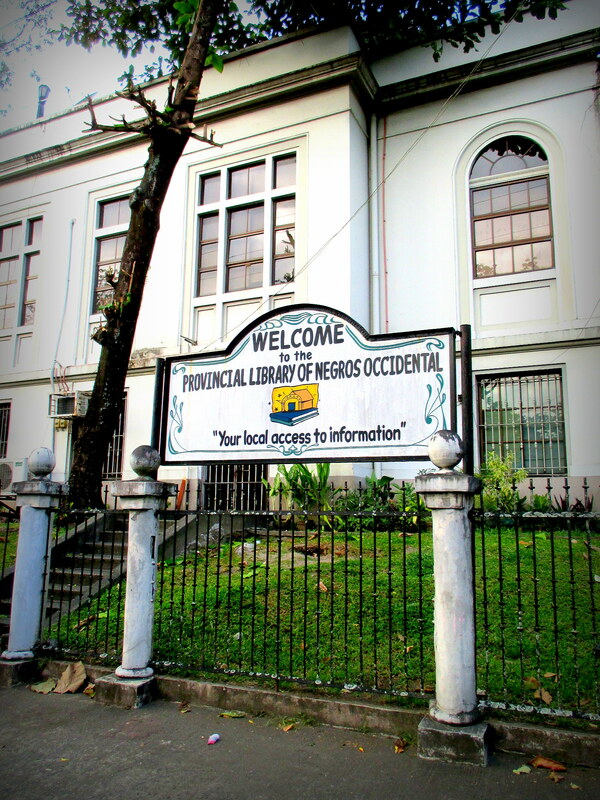 Just a few walks away from the cafe, you will see Bacolod Public Library. It is open from Mondays to Fridays at 8A – 5P and Saturdays at 8A – 12P. Obviously, it was already closed when I passed by but I still got to take a snapshot of it. Exhausted I headed back to the hotel. It was a long day. The plan was to get changed and look for Manokan Country to eat dinner. My spirit was willing but my body’s too weak. I listened to my body. I did not want to get sick outside my hometown. I settled for the hotel’s dinner and got in touch with an old friend whom I wanted to visit and talk to while I was there. Day One was awesome. I slept like a baby. Many thanks for sharing. It is indeed, one fantastic place. too bad the last time i was there it was only for a day trip..